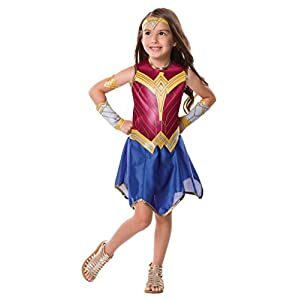 Find baby Wonder Woman costumes for sale. 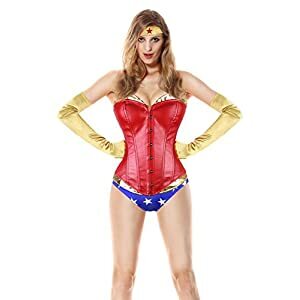 Low prices, fast shipping and great selection for Halloween. 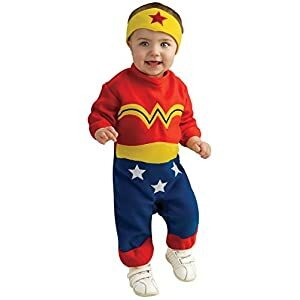 Buy your Justice League Wonder Woman costumes for your baby here. 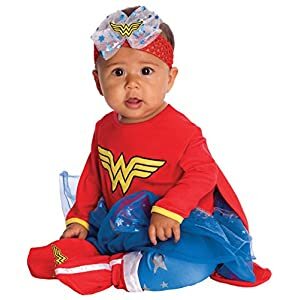 With Rubies baby costumes, even the youngest member of the family can join the fun. 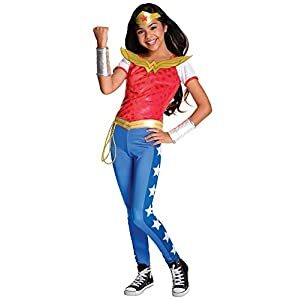 Officially licensed by DC Comics. 0 to 6 months fits up to 21 inches long, 6 to 12 months up to 22 inches. 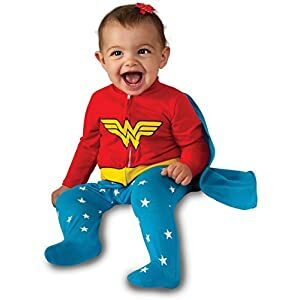 Officially licensed wonder woman onesie features her logo and an attached tutu. 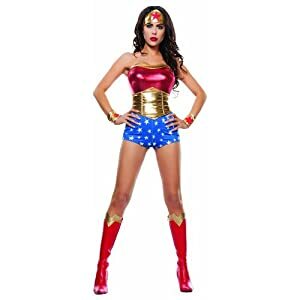 Pants, headpiece, and booties are all included. Newborn fits up to 17 pounds and 27 inches, infant fits up to 22 pounds and 30 inches.